The world’s first sea-going hydrogen-powered ferry could soon be serving communities in the Western Isles, if a new feasibility study shows such a vessel is viable. A team comprising a Western Isles community energy wind farm, six leading private sector companies and a public sector maritime asset company has been awarded funding by the Scottish Government to carry out the study. The hydrogen for the ferry would be manufactured using local community-owned wind power and, if the project is successful, it would be the world’s first sea-going hydrogen ferry. Point and Sandwick Trust, the UK’s largest community energy company behind the award-winning Beinn Ghrideag community wind farm, is leading the project. The other main partners include CMAL, which leases ferries to Caledonian MacBrayne; Ferguson Marine shipyard in Glasgow; Siemens-Gamesa Renewable Energy, the leading supplier of wind turbines to the UK; ITM Power, one of the world’s leading specialists in hydrogen manufacture through electrolysis; ENGIE, which is a specialist in the transport and storage of gas; Wood, a global leader in the delivery of projects, engineering and technical services to energy and industrial markets; and Johnston Carmichael, Scotland’s largest independent firm of chartered accountants. The funding has been awarded by the Scottish Government through its Low Carbon Infrastructure Transition Programme, supported by the European Regional Development Fund, and will be used for an initial feasibility study, to be completed by June this year, to look at the technical and commercial requirements for a West Coast hydrogen ferry. The feasibility project will look at the manufacture of the hydrogen using wind power, the challenges of how to handle, transport and store the hydrogen on local piers, and how the design of the ship and its engines needs to be adapted to run on hydrogen fuel. Project manager Calum MacDonald, development director for Point and Sandwick Trust and the former MP for the Western Isles, said: ‘We have a simple yet bold vision which is to harness the huge potential of community-owned wind power on the Scottish islands to power the lifeline ferry services by utilising the very latest in hydrogen energy technology. ‘Turning that vision into reality will be a world first and requires the very best expertise in both energy and shipping technology. ‘That is why I am delighted that the Scottish Government has agreed to fund the initial feasibility study to map out the technical, commercial and regulatory challenges to overcome. Mr MacDonald added that he hopes the project will reinforce the message that community enterprise can be as entrepreneurial and innovative as the conventional corporate sector and also that the private and community sectors can work well together on the right project. 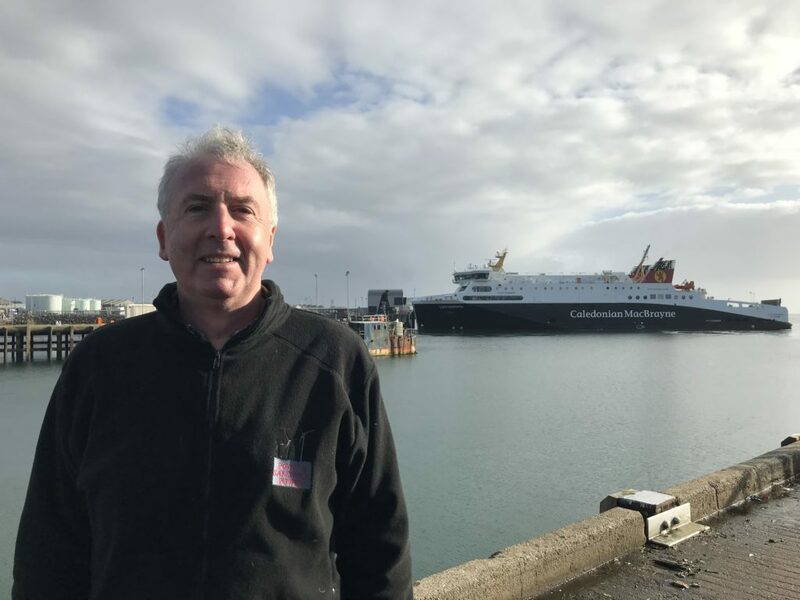 ‘Orkney already has a fantastic project using hydrogen to help power a local ferry. This new Hebrides project is aimed at going up in scale, both in ship size and in the difficulty of the crossing and I am sure that the two projects can learn from each other,’ he added. Point and Sandwick Trust has operated the UK’s largest community wind farm at Beinn Ghrideag on the Isle of Lewis since 2015. The £14 million project produces £800,000 a year in net income for the local community and is expected to generate a net £2 million a year once the capital costs have been repaid. 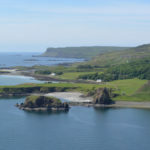 Whereas the Beinn Ghrideag wind farm is connected to the National Grid and sells its power to the mainland, the proposed new community turbines would not need a grid connection because they would be exclusively devoted to making hydrogen for use on the CalMac ferries which serve the Inner and Outer Hebrides.